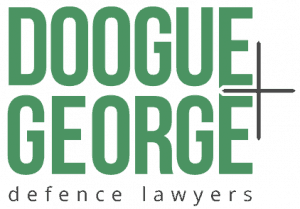 Shaun Pascoe, who is an accredited criminal law specialist and runs our Doogue + George – Heidelberg office, was briefed to appear in an appeal in the Melbourne County Court. The appeal concerned a Magistrate’s decision to restore a suspended sentence. The law provides that exceptional circumstances must be established to avoid the restoration of a suspended sentence. By ordering the restoration of the suspended sentence, Shaun’s client was required to serve several months in custody. Shaun successfully argued on appeal before the County Court that exceptional circumstances had arisen since the date the suspended sentence was imposed, and accordingly the Magistrates order was set aside, and the term of the suspended sentence extended.